The sports ecosystem provides a way for sponsor brands to align themselves with one of the world’s most passionate and energetic audiences — the sports fan. According to IEG, the top 3 reasons why brands spend money on sports sponsorships are, to increase brand awareness, improve brand image, and reach their target audience. Sports fans, the target audience for sponsoring brands, are already present on a sports team’s social media channels, making sponsorship one of the best ways to extend a brand’s reach and awareness to a larger, focused audience. Recent surveys show that brands consider presence on social/digital media the second most valuable sponsorship benefit behind category exclusivity, and that 98% of brands use social media to leverage and promote their sponsorships. Once a partnership is established between a team and sponsor, the next step is for the team to create high impact results for that partner through engaging, creative, and optimized promotional campaigns. Through the process of attracting and pitching new sponsors, teams should know their fans well enough to develop audience personas. 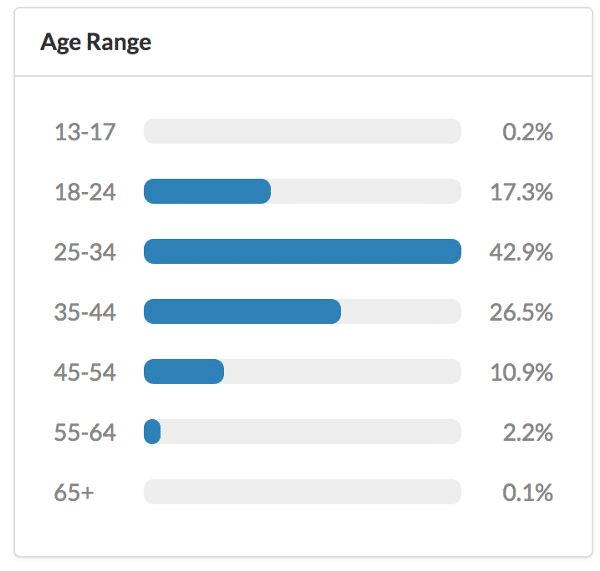 Audience personas are important to help focus a team’s promotional efforts to create content that is interesting and relevant to their fans and the target audience of their sponsors. Since not all sponsor brands appeal to all audiences, by identifying audience personas, teams can also tailor sponsor content that reaches the audience with whom the sponsor brand resonates the most. 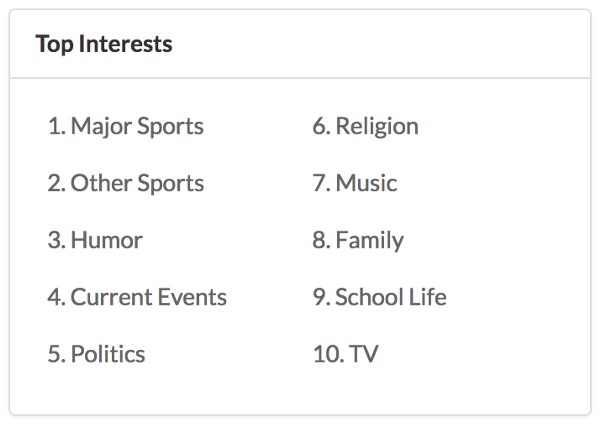 For example, one of the audience personas for an NFL team is a gender-neutral sport fan within the 18–34 age group with interest in music. This audience persona is appealing to a major headphones manufacturer sponsoring the NFL team who is looking to expand brand awareness and reach within this category of sports fans. To help the sponsor achieve its goal, one of the campaigns the NFL team can run is a giveaway promoting the sponsor’s headphones in the team’s colors. With newer content and engaging campaigns being run by competitors, teams have to create dynamic and compelling content that shares the sponsor story in new and exciting ways for the sports fan. Promotional posts that don’t fit into the typical team voice will push away fans, while limiting sponsor content will not help the team achieve its contractual goals. Creating the right blend of sponsor content within the team’s content regularly is no easy task — but teams can find inspiration using Hookit’s Showcase. The Hookit Showcase provides the most creative and engaging posts by entities in the sports ecosystem on social media for that week, which teams can use for inspiration while creating their campaigns. Seeing what works: Monitoring campaigns on a daily basis can help teams identify which campaign is working the best and engaging with intended audiences. This regular monitoring also helps teams to identify problematic campaigns and tweak them on a daily or weekly basis to make them more effective. Align with sponsor goals: A team’s social campaigns need to be developed with the sponsor’s goals in mind. For example, if the sponsor’s goal is to increase brand awareness, teams can measure social engagement through mentions, shares and retweets using the Hookit dashboard. If the results are not satisfactory, the team can tweak sponsor content until it reaches the anticipated engagement for its sponsor. Best content on the best platforms: Observing social campaigns continuously also allows teams to identify the top performing social media platform and which type of content (image, video, text,etc.) gets more engagement. This allows the team to combine the best content type with the best social media platform to produce maximum impact for the sponsor. For a team, optimizing its social campaigns to align with and produce desired results for sponsors is a major challenge. Spontelligence can help teams optimize their campaigns effortlessly by providing concrete social media engagement data, audience participation in real-time and inspiration for future campaigns. This enables teams to run effective, stronger campaigns and produce higher quality results and engagement for their sponsors on social media. 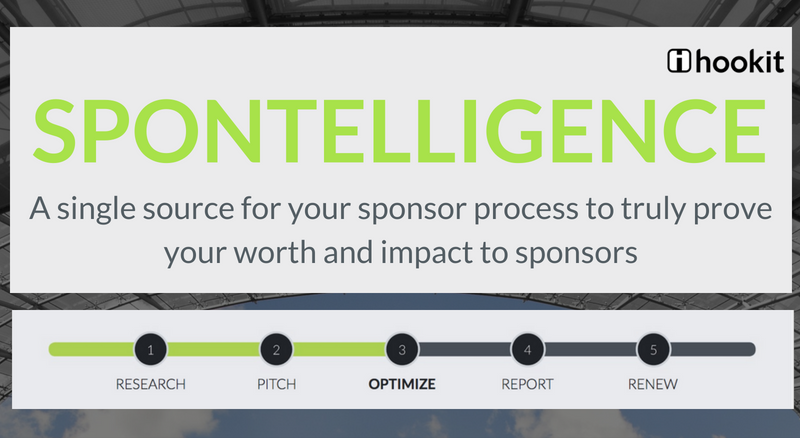 This is Part 3 of a 4 part series, which helps rights-holders navigate the different stages of their sponsorship cycle.Learn more about PART 1 ,PART 2 & PART 4, or click on Get Spontelligence Now button above, that details all steps in the series!